Do you live where Daylight Saving Time has gone into effect recently? If so, today you may feel out of sync, sleep-deprived. The loss of even one hour of sleep pushes one’s biorhythms out of kilter. In the wee hours of Sunday clocks moved forward one hour, delaying sunrise and adding evening daylight. According to one source, a New Zealander proposed the modern idea of DST in 1895. Germany followed in 1916. Many other country since then have followed the spring ahead/fall behind routine, especially since the energy crisis of the 1970s. The time change has been loved or hated ever since. My author friend Janet Givens provides a well-researched blog post on the topic. Her research explodes the myth that Daylight Saving Time is supported by farmers. Medical journals including Psychology Today, often publish articles about sleep or the lack thereof. Such pieces also regularly appear in the table of contents of women’s magazine and AARP journals. Sleep repairs the unraveled parts of our lives, knits them up. Sleep comes at the end of the day; it looks like a little death. Sleep brings bodily relief from pain as do baths. Sleep is essential to life. We can’t do without it. 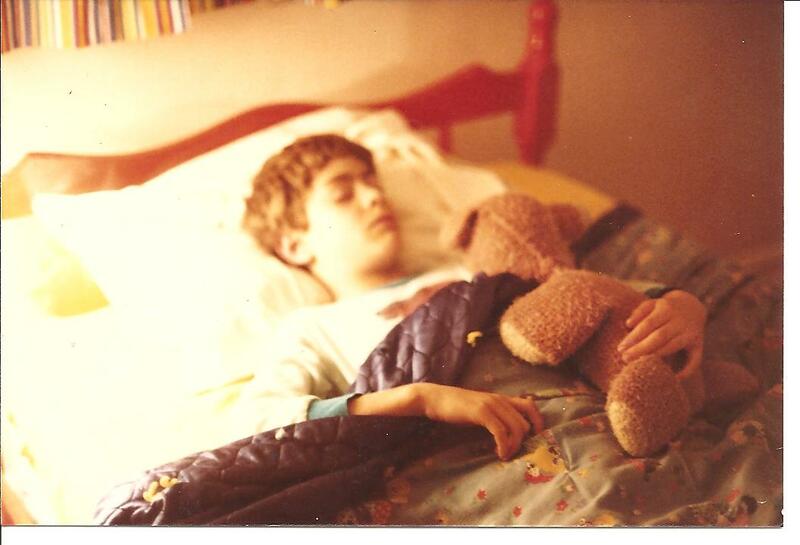 Our son Joel was fast asleep embracing his teddy bear knitted by his Great Aunt Ruthie. He may have been dreaming of riding his skate board or playing with match-box cars. As a nine-year-old, he was certainly not worrying about caring for children, the needs of a wife, mortgage payments, or at-work performance. Comments about sleep, advice about getting more of it? Your wisdom welcome here. All creatures need down time, even inanimate ones. Note that there is a sleep button on your computer, just above re-start. Previous postRaise a Mug to the Irish! This post is chock full of information. I am not a fan of DST (or the change back to standard). I’ve been sleeping a bit later, but it’s still dark when I get up now. Sleep is a love letter to our souls. Dreams are the stories our souls whisper to us in the night. Sleep is a sweet, necessary adventure. Lovely post. I memorized Macbeth’s words on sleep many years ago and mumble it to myself when I’m tired. But Wordsworth’s lines? Ahh, they are priceless and golden. Sleep sends us briefly to that immortal place from whence we came. That’s what I think. You have a treasure trove of wisdom here most of which my readers (I hope) and I have experienced. Thank you, Pamela! I’ve actually felt more energized since changing the clocks, Marian. I guess it’s the extra daylight hours, along with warmer temperatures that have allowed me to be outside more. As for advice on getting more sleep, I have nothing. My body clock seems to only allow for 6 hours a night…I try for more, but it never happens. What a sweet picture of Joel. Your engine seems to be working well on 6 hours. I’m glad you feel energized by the time change. You truly spring ahead! Thanks, Jill. I used to stay up late that was the time that I had time to myself. To unwind catch up on laundry house work and movies. My body no longer allows me those crazy thoughts now I go up to my bed, relax my mind and sleep. I find that I’m a happier person. I’ve alwayas put my children to bed early but because of health more for me. They are still in the habit to go straight up by 7:00 and lights out at 9:00. Now I do the same. I love it. Thanks for this post. We need the reminder of precious sleep. I’m trying to work in naps. It hasn’t happened. Up to bed by 7:00 and lights out by 9:00 sounds like a miracle to me. As we age, we have to invent a new normal, I think. You seem to be finding yours. Thanks for sharing here as always, Gloria. Not by choice I have to get into habit. We’re opening a cafe in July and plan to open at five in the morning. So I have to start sleeping early to get up early at four to be exact. Yes I’m always on a journey. Oh, Gloria! You are opening a cafe – so you both will have to be early birds. Congratulations and best wishes! Since I’ve retired, in my new world it rarely matters what time it is. LOL! But seriously, in Florida, because of our southern location, the lengths of our days remain relatively consistent throughout the year. We don’t benefit from DST and it’s a hassle to change the clocks. Other Floridians agree! In December 2015 House Bill 893 was introduced to keep Florida on DST year round, but it died in subcommittee on 3/11/16. Lynn, thank you for keeping me up to date with state politics here. I wonder two things: why the bill “died” in the subcommittee and when the bill can be re-introduced. It happens all the time with other issues, why not one that affects the entire population. Marian, there is nothing like a good night’s sleep as your well-researched post teaches us. It is a precious commodity, especially as we age. Power napping during the day has become my new best friend! It’s amazing how even a one-hour change can throw us off. Thanks for another refreshing and informative post. I echo your comment about napping. I try to recline in a quiet, dark room for at least 20 minutes in the afternoon. But it seldom happens. BST hasn’t arrived here yet, I think it is over the Easter holidays, but I enjoy the tighter evenings, so I am not complaining. Many years ago, whilst still a student and had problems sleeping, I bought a book on Yoga, breathing and relaxing exercises, which helped me enormously and still use it now from time to time. I use yoga breathing exercises too when I have trouble sleeping and they work every time! I have always loved daylight savings time. It has never bothered me, it is just like flying into another time zone that´s all. And I love the extra hour of sunlight, a small price to pay. We don´t change our clocks here in Spain until March 27 so I have to adjust my Skyping times for a couple of weeks. Enjoy the extra sun!! You are so adaptable, Darlene. Traveling today, I did appreciate the extra hour of sunlight, so of course there’s a bright side to everything. The period of life when I minded the time change the worst was when our children were young–and their bodies of course stayed on whatever time they had been on for at least a couple days. But I loved your Wee Willy Winky quote–one of our favorite bedtime poems and larger book, and was startled to see that the book we always read it in, put THAT bedtime as two hours earlier! Are the children in their bed, for now it’s eight o’clock. I think I’ve heard that version before. Eight o’clock sounds may more reasonable than ten anyway. Thanks, Melodie. Oh Marian,what a rosy picture you paint for me.First I have BST on 27th to come and then because I get anything from 1 to 4 hours sleep a night I have Alzheimer’s to look forward to.Without my odd little power naps I think I’d really be in trouble. I hope you’ve adjusted now and are enjoying the early light in the mornings. Joey is and keeps squawking to let me know it’s time to open his cage door. Huge hugs back to you too, David. 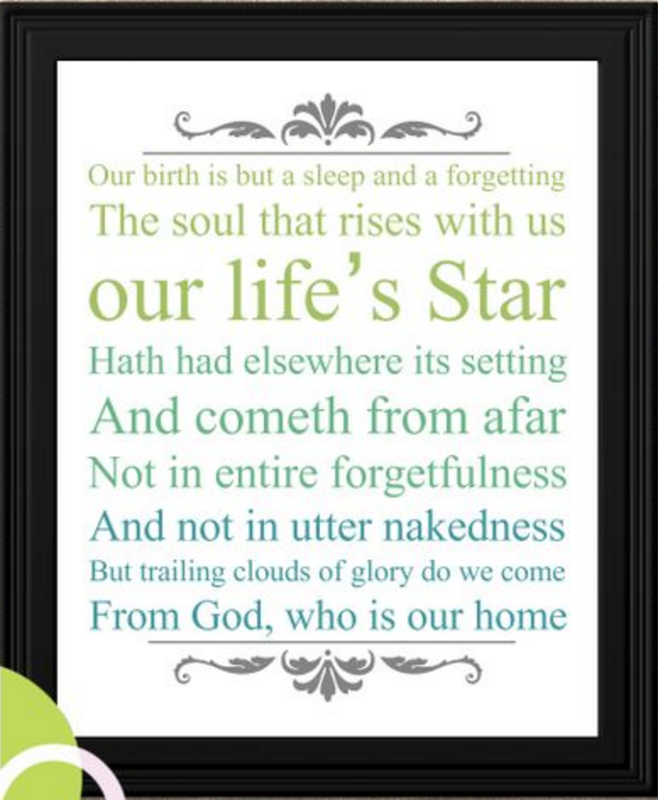 Love the quote from Wordsworth, Marian. It’s so beautiful. Here in Arizona we don’t change the clock. The challenge is to just remember that rest of the country does, and not call anybody at the wrong hour. Yes, some states sensibly don’t do the time change. I wonder how that affects flights and similar interactions with other states. Hmmm! I long for that uninterrupted sleep of my childhood! We have recently changed our clocks here in Manitoba. It doesn’t seem to have made anything worse for me.Thanks for the beautiful reminder of Wordsworth. Inspires me to go back to some of his other writing.. I don’t have a passionate opinion about DST. But I love when I wake up without having had any interruptions after at least seven hours. Almost as good, and as rare, as when my babies finally got to that point. Have good traveling today, Marian, and a wonderful week. I’ll be sending Carol and Mary to you from here in Harrisonburg. I smile at your reference to sleep patterns at various stages of our lives. We used to get a rude awakening from grandchildren when they were very young and had sleepovers with us. Now the older ones sleep longer. Thank the Lord! Yes, we are thankful for smooth travels today and looking forward to Carol and Mary making six. Just moments ago we were discussing how best to utilize our evenings together. You, of course, are missed. Your description has conjured up an image of Sleeping Beauty – ha! I take a calcium tab at night without realizing it is nature’s sedative. My, my! Along with heart attacks I have heard that they are more car accidents after the time change than usual. Drivers haven’t gotten enough sleep + it would be much darker in the morning making them more accident prone too. Yes, I remember: You are recuperating from an evil bug and then adapting to the time change. Be gentle with yourself! I love that Shakespeare quote , I can remember emailing it to my sister when the lack of sleep had become unbearable . 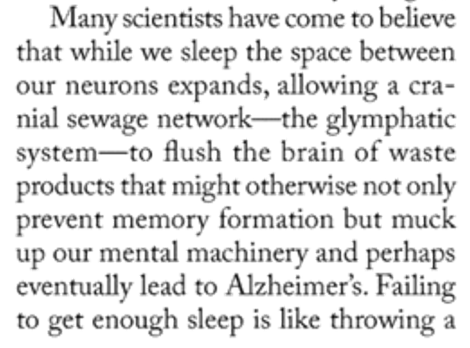 It’s weird but everyone in our family , as a child , had problems with sleep . It’s a wonder we didn’t all meet each other in the wee hours …but we never did . In some ways I find sleep deprivation a blessing because it’s ‘MY’ time for reading , writing , being . We have our hour stolen next week , just as I am getting used to the delightful early mornings of light and ‘THEY’ pinch it in the morning and give back in the evening annoying . With your busy days, I imagine your mind craves “relief” through reading and meditating even if it interferes with sleep sometimes. Yes, it all works out in the end. You have a delightful way of choosing words: “they pinch it in the morning and give back in the evening.” Clever! Thanks, Cherry! Hey that’s cool say hello to Merril for me . I often read her comments . Enjoy your writers retreat . I’m glad to say I usually sleep well. If I’m keyed up, meditation usually works to quiet me down so I can go to sleep. I’m sure you know this poem by Rumi, Marian. It’s a treat. If I’m over-stimulated like now surrounded by so many creative people, sometimes it’s hard to let my mind relax. I meditate or listen to soothing music on my pillow, which usually does the trick. No, I hadn’t read this poem by Rumi. My take on it just now: The urging “Don’t go back sleep” may give the psyche permission to fall into sleep simply because of the contrary notion. It is a treat – and thank you! Our clocks go forward this coming weekend. To be honest, I don’t see the point anymore. That’s another thing we agree on. Take it easy and follow the light, Fiona! I fancy you drinking camomile tea but I may be wrong. Ha! Our clocks haven’t changed yet. I prefer Autumn when you get an extra hour rather than losing it. Yes, I never feel really, really caught up until the” fall-behind” materializes. Thanks, Marie.